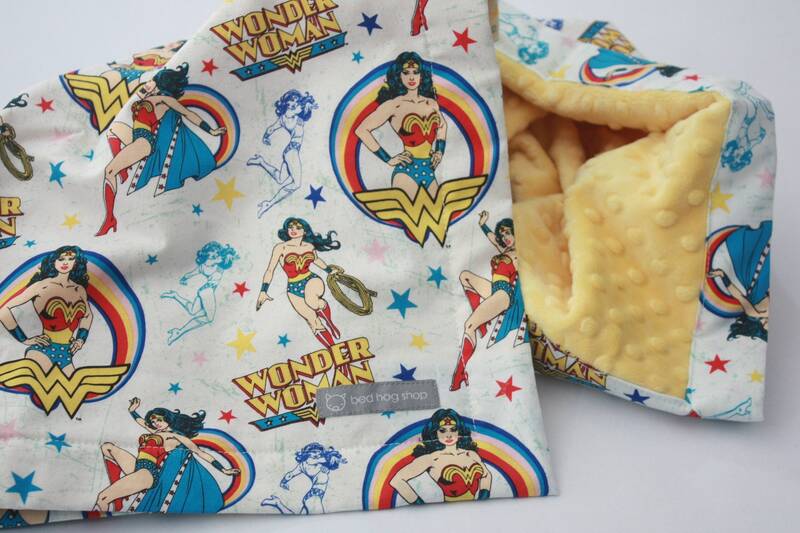 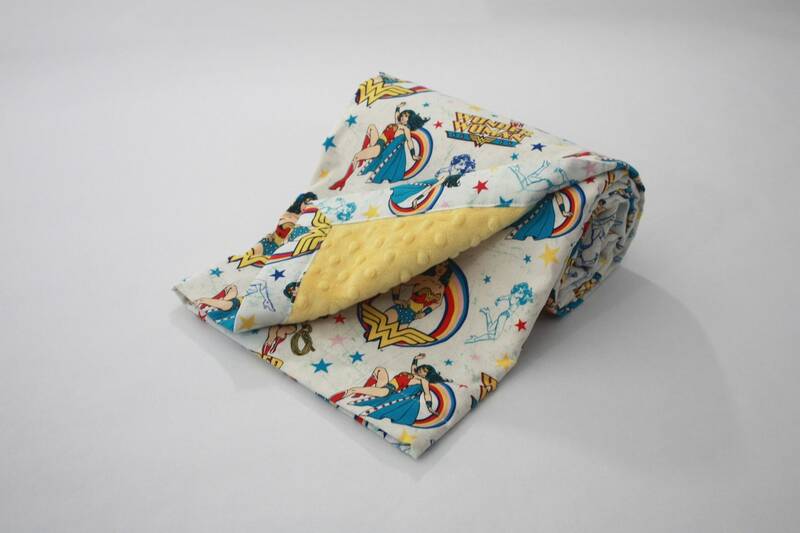 This baby blanket features the classic Wonder Woman print with yellow super soft minky polyester back. 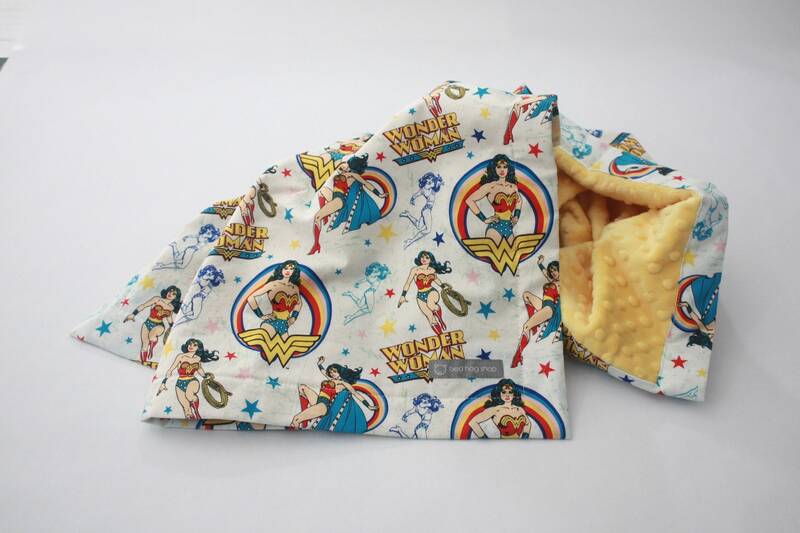 This blanket has a 1 1/2" border. 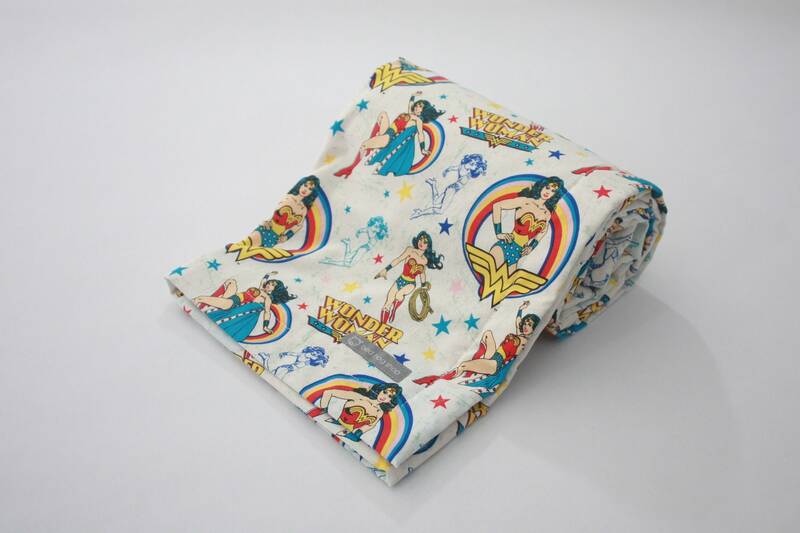 Perfect for the crib, to use for swaddling, and definitely to take along as a stroller blanket.